Cityscape Block of the Month includes a monthly pattern designed by Cassandra Ireland Beaver and all the fabric for a twin size quilt top. 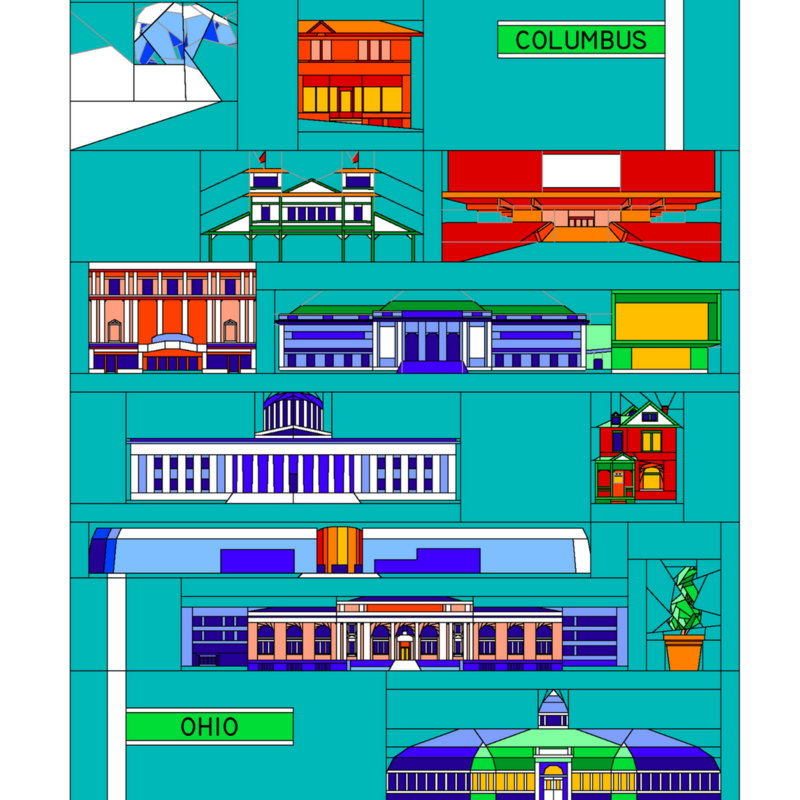 This year's quilt includes 13 blocks representing landmarks and destinations around Columbus, including COSI, the Thurber House and our very own Dabble & Stitch. Cassandra will be offering a free demo of a portion of the month's block at 1 pm on Sundays May 6, June 3, July 8, August 12, September 2, October 14, November 18, and December 2, 2018, as well as January 6, February 3, March 10, April 7 and May 5, 2019. Patterns will be available for pick up at the demo or can be mailed at no charge upon request. Requirements: Quilt is predominantly foundation paper pieced with a little traditional piecing mixed in. Finishes at about twin size, 72" x 90".